Hong Kong is filled with numerous exchange places all over. This article will discuss the best places to exchange money in Hong Kong based on my experiences over several years exchanging money in HK. This article assumes that you are exchanging a relatively small amount of money, not a huge amount of money, like millions of dollars, for which would be able to get similar rates that banks can exchange money for. In a nutshell, the best place to exchange money in Hong Kong in my experience is on the 2nd floor (or 1st floor if you consider the lowest level the ground level) of Chungking Mansions. Chungking Mansions is located in Tsim Sha Tsui in Kowloon, which has its own MTR station on the red line. You can read our article here about how to get to Chungking Mansions. As soon as you walk inside the main entrance of Chungking Mansions, there are many exchange places, probably more than 10, all right next to each other. There is at least 1 more exchange place on the lowest level of Chungking Mansions. 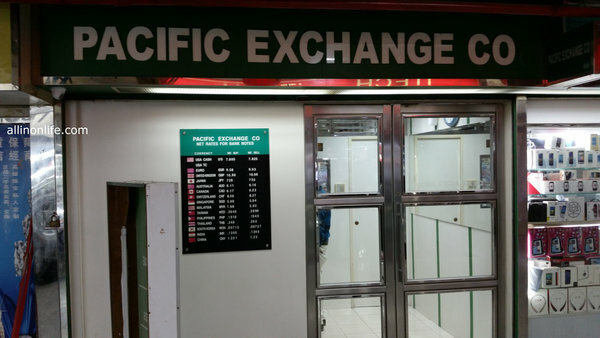 There are likely thousands of travelers who go through Chungking Mansions every week, so there is a huge demand for currency exchange there. As a result, there is a huge amount of competition, which benefits people wanting to exchange money. But actually, those exchange places on the lowest level of Chungking Mansions will not give you the best rates. Whenever I exchange money, I always try to be meticulous and check the current market rates from sites like xe.com. I have always found that that the exchange rates on the lowest levels of Chungking Mansions are not the best rates you can get. The best rates you can get are on the 2nd floor of Chungking Mansions. It would make sense that the higher level exchange store give better rates because they get much less foot traffic. To get the to the 2nd level, just take the stairs up. 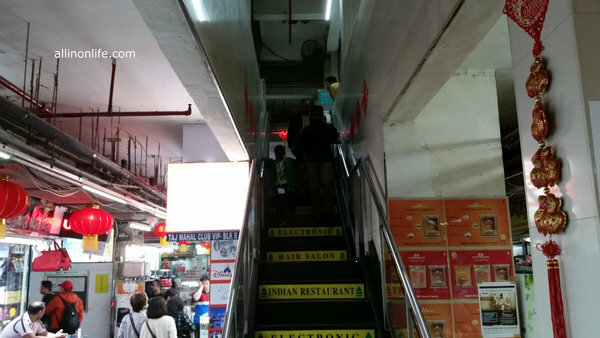 You can see the stairs soon after walking through the main entrance of Chungking Mansions if you just keep walking straight. 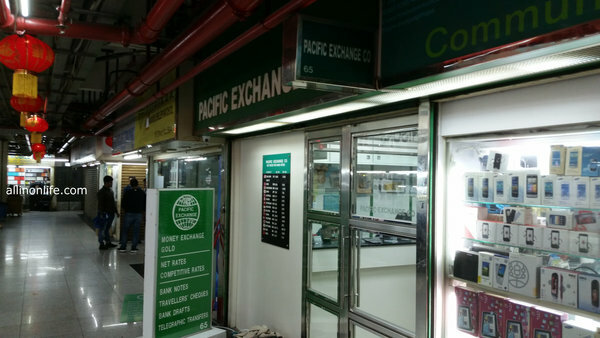 Over my years of exchanging money in Hong Kong, by far the best exchange place I have been to is called Pacific Exchange. I have NEVER had a problem with them, and the workers are always honest. They have never cheated me. They post their rates up front so you can know exactly how much you will get for your exchange. They won’t accept foreign coins, and sometimes won’t accept lower denomination bills such as 1 dollar USD bills. But, they will always let you know that up front, and you can ask them any questions you want. I have exchanged US Dollars, HK Dollars, Chinese RMB Yuan, Korean Won, and I think Euros at Pacific Exchange over the years. 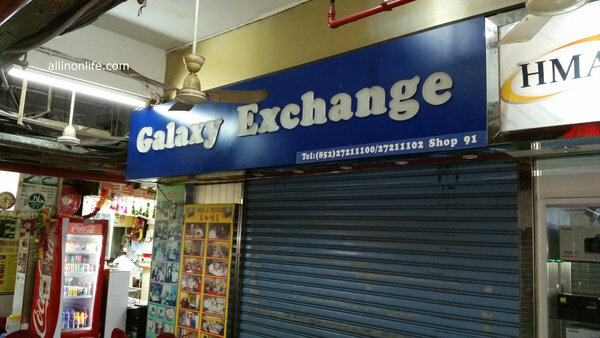 If Pacific Exchange is ever closed, the next best place I would recommend is called Galaxy Exchange. It is also located on the 2nd level of Chungking Mansions. I have found that Galaxy Exchange has either the same rates or slightly worse rates than Pacific Exchange, but they are OK too. But, I don’t remember having great service from them like I got at Pacific Exchange. I have also exchanged money at banks in Hong Kong such as Standard Chartered, and found that they usually gave worse exchange rates than currency exchange places. Due to the huge demand and number of people going through Chungking Mansions every day, it makes sense that you could get the best rates there. Did you like this article? Do you know any better places than the 2nd level of Chungking Mansions to exchange money in Hong Kong? Let’s discuss it in the comments below. Yes, I usually avoid airports unless I have no other choices. Thanks for the nice comment. The absolute best place to exchange money is a place called “Berlin Company Currency Exchange” in central. Usually the spread is a fraction of a HK dollar.